There is a lot to consider when you are thinking about embarking on this journey. Choosing a fertility team, choosing a surrogate, finding legal representation: these are all huge decisions. But did you know that deciding where you decide to pursue surrogacy can make a huge difference in your experience? The laws around surrogacy are decided on a state-by-state basis, which means that they can be extremely different from one state to another. Happily, here in California, we are extremely fortunate to have excellent, progressive surrogacy laws on the books, which makes this an amazing pace for gestational surrogacy. What makes California one of the best states in the US for surrogacy? California is home to some of the most advanced and successful fertility experts and clinics in the world, with access to cutting-edge technology and the very latest best practices in embryology. This alone makes it an attractive destination for anyone considering gestational surrogacy, but even more importantly, the legal status of surrogacy in California is exceptional. California has some of the clearest, most straightforward gestational surrogacy laws in the world, written to protect the rights of the intended parents, the surrogate mother, the resulting baby, and the egg donor (if required). The process of establishing the parental rights of the intended parents is so streamlined that most will never ever see the inside of a courtroom: they simply need to review and sign the necessary paperwork with their attorney, who will then file it on their behalf. There are also decades of positive case law regarding surrogate agreements in California, so in the unlikely event that their agreement is ever challenged, they are generally well protected by proven legal precedent. The law states that any party to the surrogacy agreement may petition the court for an order or judgment establishing the parent-child relationship before or after the child’s birth. In order to do this, with the help of an attorney, a copy of the surrogacy agreement must be filed in a court of law in California. Once the agreement is filed, records of the agreement will be sealed except to the intended parents, the gestational carrier, the lawyers of both parties, and the state’s Department of Social Services. This process protects your rights as the parents of your child and your family's privacy. California allows anyone to become a parent through gestational surrogacy and a parentage order, no matter their gender, marital status, sexual orientation, or whether or not they are genetically related to the baby (for example, if they have used donor eggs and/or sperm). This is excellent news for families who live outside of the state or country and only come to California for surrogacy purposes, or who later travel or move out of state. It means that they always remain protected by California’s progressive and inclusive laws. This proactive defense of intended parents is the first of its kind in the US. What are the legal requirements for gestational surrogacy agreements in California? The laws around surrogacy in California demand that the intended parents and the surrogate have their own separate lawyers representing their separate interests. They can’t share the same legal counsel. A surrogacy agreement must be notarized before it will be considered valid under the law. Importantly, the agreement must be executed and notarized before the commencement of injectable medications used in assisted reproduction and embryo transfer procedures. The law in California requires that all parties attest to their compliance with all relevant laws or face a charge of perjury. If I’m from out of state or a different country and want to pursue surrogacy in California, what do I need to know? Intended parents who come to California for gestational surrogacy have all the same rights and protections as intended parents who reside here. If you have come from another country, there will be additional legal paperwork required in order to bring your baby back home, but other than that, you should be treated exactly the same as any other intended parent. Before you take this huge step, you should make sure that you have a robust support system here in California. 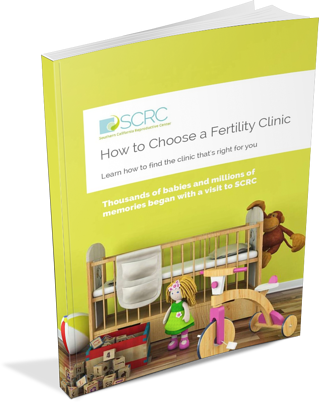 Take your time researching fertility clinics, surrogate agencies, and attorneys who specialize in family formation law, until you feel confident that you have found the very best options for your unique situation. If you will be traveling a long way for appointments and meetings, make sure that the coordinator of your fertility clinic and/or agency has robust processes in place to ensure that your schedule flows smoothly. If English is not your first language, skilled translators should be available to you. Above all, you should feel confident that you can trust the experts who will be guiding you through this process, and comfortable asking them any question. Gestational surrogacy can be complex, both emotionally and logistically, but with the right information and a great team to support you, it can be a deeply rewarding experience for everyone involved.